Read the full article at pittstate.edu. Chad Foster never got to finish college. 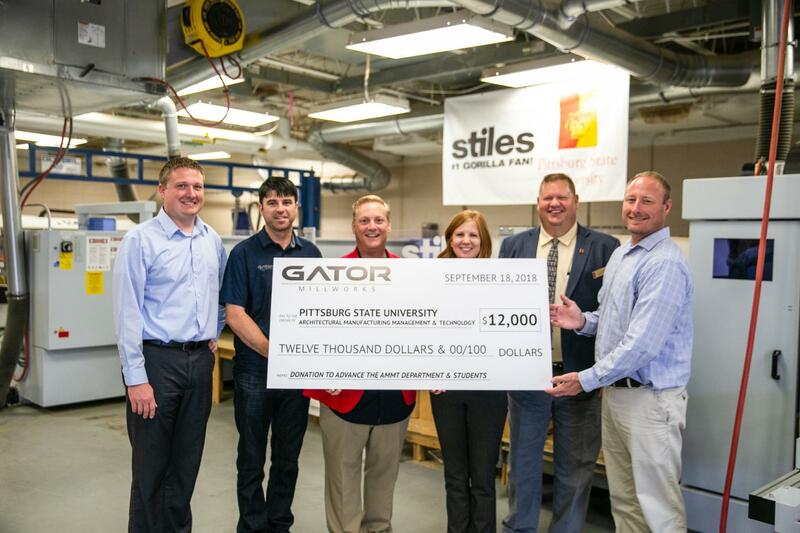 But he knows the value of the degrees that students earn in Pittsburg State’s Architectural Manufacturing Management & Technology program: He’s now the president and CEO of a company that last summer put PSU students to work as interns. Foster didn’t take the traditional route to becoming a corporate leader. His dad, Randy, opened the company in 1994 to produce architectural millwork for the residential market of Livingston Parish and the surrounding areas. Ten years later, Randy fell ill and was forced to engage the help of Chad, who was a junior in college at the time, to run the business. Intimidated at first by the prospect of running the company, the younger Foster soon embraced the challenge and dedicated himself to propelling Gator Millworks into being an industry leader. The company grew, and by 2007 had branched into the commercial market. Three years ago, Charlie Phillips, an assistant professor in AMMT, began inviting the company to attend Wood Tech Company Day in the College of Technology.